If you have observed the roulette game you have probably noticed an oval-shaped part of the table resembling athletic racetrack. Physically separate from a rectangular betting grid that is used to make the common roulette bets (the inside and outside bets), this racetrack area is dedicated to French bets. With a number of strategies enabling players to make different bets, the roulette tables can sometimes become crowded with chips. 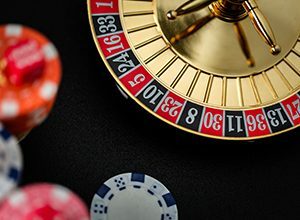 In order to avoid confusion and ease up the identification of all bets, casinos provide a different area for bets that involve a series of numbers. Which is what French bets are all about. Known as announced roulette bets, these systems cover large sections of consecutive numbers on the wheel, sometimes nearly half of all available. 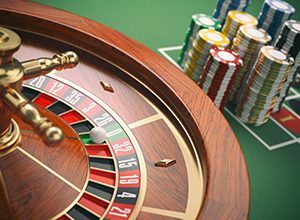 Since they offer lots of action and solid odds, announced roulette bets are a common way to spice up the game. 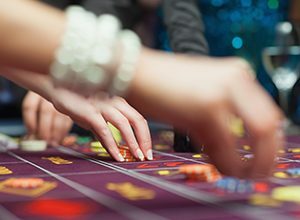 While they are not present in every brick and mortar or online casino, their uniqueness is also enticing to players with restricted bankrolls looking for frequent payouts. Thus we decided to spin our content wheel and circumambulate these bets with you. Announced bets are wagers that allow you to take stakes in large portions of the roulette wheel. As with any other bet, you do it by putting your chips on segments of the racetrack you deem proper. In some casinos, usually in Europe, announced bets can also take the form of call bets. While these two are similar and happen at the same part of the roulette table, there is one key difference. With call bets, you don’t lay down chips when you announce the wager. Instead, do it verbally. Since it essentially involves betting on credit – for the player does not place the money on the table – the call bet can be illegal in some casinos and jurisdictions (for instance, casinos in the UK don’t allow for it). Therefore, you should check for their availability before you start playing. Other than this difference in the betting process, announced bets and call bets are the same. There are several types of announced bets. Each one of them allows you to put chips on a number of different spots covering large and connected sections of the roulette wheel. The most difficult part of the bet itself is knowing where to lay down the chips since some announced bets are more complicated than others. As we go deeper into all of their variants, please note that the following information is based on the European roulette wheel, featuring 37 numbers. This is the simplest type of announced bets covering numbers closest to zero. It involves seven numbers in the sequence of 12-35-3-26-0-32-15. The bet consists of four chips or multiples thereof. Three chips are bet on splits – first on a 0-3 split, second on a 12-15 split, third on a 32-25 split – and the last one is straight-up on 26. If you come around jeu zéro in Germany, you may notice the fifth chip involved. Dubbed “zero spiel naca”, this variation involves an additional straight-up bet on 19. Extended to seventeen numbers in the vicinity of zero, this variant involves all numbers that lie between 22 and 25 to create the sequence of 22-18-29-7-28-12-35-3-26-0-32-15-19-4-21-2-25.
one chip each on five splits: 4-7, 12-15, 18-21, 19-22, and 32-35. This option involves twelve numbers opposite to zero on the wheel and consists of all numbers between 27 and 33 in the series 27-13-36-11-30-8-23-10-5-24-16-33. The bet is made by six chips (or multiples thereof) with one chip placed on six splits: 5-8, 10-11, 13-16, 23-24, 27-30, and 33-36. Effectively covering almost third of the roulette wheel, le tiers du cylindre is very popular in the UK casinos and outnumbers other announced bets by a massive margin. This alteration consists of all numbers that do not fall under the umbrella of le tiers and voisins. Made out of eight numbers in two non-connected and opposite slices of the roulette wheel, orphans include 17-34-6 and 1-20-14-31-9 sequences. The bet contains five chips (or multiples thereof). Four chips are bet on splits (6-9, 14-17, 17-20, 31-34) and one chip is straight-up on 1. This is a five chip variant that involves announced bet on one number backed along with two numbers on each side. For example, if a player picks 6 the sequence is 17-34-6-27-13. While this particular option does not occur on the racetrack, it is the type of announced bets that are assumed by the croupier and can be further combined with any of four major types. Every announced bet have a 2.7% house edge making it exactly the same as in any other roulette wager made in Europe. In that sense, announced bets do not have an advantage over the others. Where they do, though, is in the odds of winning each wager itself. At 45.9% the voisins du zéro offers the best chance of winning. Next, best is le tiers du cylindre at 32.4%, and the orphelins with 24.3% chance. The jeu zéro with 18.9% of chance concludes the list. On the other hand, announced bets provide for a couple of additional pulses that give them some edge. They are fun to play when it comes to players who like lots of action on every spin. As they put down a number of multiple bets in every round, the astute gamblers can enrich their experience by spicing up their chances. They are also worth considering for novice players – including ones with a restricted bankroll — looking for frequent payouts with solid odds. By giving extra meaning to the ‘aim small, miss small’ advice for the beginners, announced bets can offer potential gains with anywhere between 19% and 46% chance of winning. They can also be used as a complementary strategy for the roulette wheel bias. When players face the wheel that favors certain pockets or selections, one or more announced bets (depending on the bias location) can increase the winning chances. While locating the bias, in reality, requires 500 or so spins, announced bets offer a quick exploitation tool. The main advantage of announced bets, however, is that they can cover more numbers than average roulette wagers. Only three outside bets — high/low, odd/even, and red/black – offer to cover more numbers (18) than any announced bets and this is what makes them compatible to even the best roulette strategies. As in all walks of life where the preferential treatment is individual, the proclivity to utilize announcing bets is subjective. Some like them more, others less. One way or another, they do provide for good odds of winning which is their unique feature, making them appealing to almost any player. Thus, if finding a casino that offers announced bets, give it a try and see for yourself. You might not win them all but they surely will make your play more interesting and give you a lot of fun. Which should always be the only reason to go to a casino in the first place.